We know that being organized has a huge impact on our productivity, and yet it can be one of the toughest challenges for busy entrepreneurs, who are often pulled in many directions at once. For me, writing every to-do on topic-oriented lists helps keep me on track — though, I have to admit my style is rudimentary. So I called on a guest expert, List Producer herself, Paula Rizzo, to give us her best strategies for getting ahead. After all, do you always want to feel like you are behind the proverbial “8 Ball”? Enjoy! Think about the most successful woman you know. Chances are she’s probably very organized. You know the type – folders for every project, Post-It notes lining her desk. I’ve been a compulsive list maker my whole life. Now I’m an Emmy Award winning television producer and I’m positive that my little habit has made me more productive, efficient and focused at work. Organized people are born leaders: After a meeting I’m always the first person to draft up a calendar or bullet points about the project we discussed. Other people are happy to let you take the lead (most of the time) when your points are well thought out and systematic. You stick out among your co-workers: Your bosses will quickly take note of your ability to plan out projects and meet deadlines. You’ll be sure to gain from it. You become the go-to person: When people know you can lay out ideas and arrange them for execution you become the person everyone relies on. You can use that to your advantage to get ahead. So how can you be more organized at work? 1. Make a list: You saw this one coming, didn’t you? Everyday before I leave work I make a list. I look at my calendar and run through the following day in my head. I write out everything that I need to do – emails I need to write, phone calls I need to return, appointments I need to keep, shoots I need to go on, etc. Then the next day when I come in – I don’t even have to think about what needs to get done – I just follow my list and cross out tasks as I finish them. 2. Add to the list: Throughout the day I write down other things I need to do that I might forget. If I get sidetracked…I write down what I was in the middle of doing so I make sure to finish it later. It seems neurotic – but it’s incredibly effective. It’s so easy to forget what you’re in the middle of doing. How many times have you said, “Now, what was I doing?” You waste time and energy trying to remember and get back on task if you don’t leave yourself a note. 3. Leave yourself reminders: My Outlook calendar is ridiculously filled with appointments. Not because I’m so popular – but because I use it as a tool to remember what I need to do. When I leave work and I remember something I need to do but didn’t put on my list – I make a meeting maker for it. That way a reminder will pop up at some point the next day and I’ll get that task accomplished. You can also write notes or use Post-its but I tend to lose track of those. If it’s in my phone and it pops up – I can’t lose it. Oh it’s also easy to ignore the pop-up alerts – so just add the tasks to your physical list when they first appear. 4. Bribe yourself: I’m serious – do it! Make deals with yourself. “If I finish this and this then I can go on Twitter for 20 minutes,” or “When I finally cross this item off my to-do list, I’ll reward myself with a manicure.” That one works for me every time! If you have a goal or a deadline that you set – you are more likely to finish the job. 5. Unplug: If you have trouble getting work done because you are inundated with phone calls and emails — shut off your phone ringer and close your email. You don’t have to do it for the entire day but just for a little while until you catch up. Seeing that you have a new email will throw your focus off and you might get pulled onto another project. Same goes for the phone. Just give yourself a little alone time to finish what you need to do first. Believe me – it’s empowering! 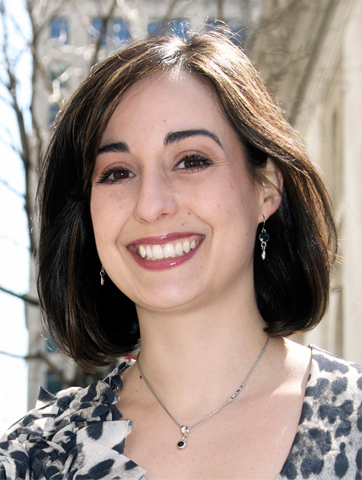 Paula Rizzo is the founder of ListProducer.com. She’s also an Emmy Award winning television producer and attributes much of her success to her compulsive list making. She makes a list about just about anything and started ListProducer.com to help others become more organized, focused and efficient, while being less stressed. This entry was written by Dr. Shannon Reece, posted on November 16, 2011 at 6:00 am, filed under Guest Posts and tagged list making strategies, List Producer, Paula Rizzo, productivity, small business tips, strategies for women. Bookmark the permalink. Follow any comments here with the RSS feed for this post. Post a comment or leave a trackback: Trackback URL. 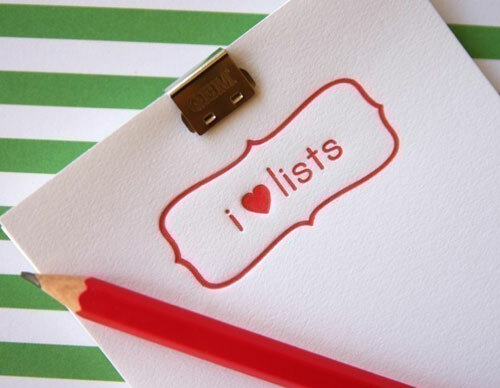 Lists are valuable way of organizing your work. Especially the point #2 is important. What I do is that every time I leave the office (for a vacation for example), I write down what I was doing (in a detailed manner), so that I know how to continue my work when I’m getting back. These are all great strategies to follow. It’s interesting how #5 has a tendency to trip people up. With the advent of the Smartphone everything is at your fingertips. Even though my phone is with me at at all times, I’ve learned something as simple as putting it on silent helps me from being distracted by it. Thanks so much for reading my post and for your kind words! It’s true — people are chained to their mobile devices! But it’s so empowering and freeing if you just give yourself a little break. You’ll be so much more productive! Thanks for the tip Shannon – I’ve already subscribed a I was so impressed!